SALT LAKE CITY May 4, 2017 – Attorney General Reyes released the following statement today on the addition of two individuals to the Utah Law Enforcement Memorial. “As I have stated often, our men and women in blue are some of the greatest public servants we have. For their contributions to our state and communities, they deserve the highest respect and appreciation we can impart. 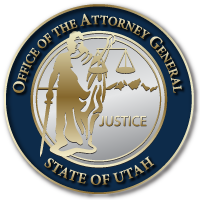 It is an honor for me and my team to oversee such deeply-experienced and exceptionally trained law enforcement agents and prosecutors in the Utah Attorney General’s Office who bring tremendous expertise to handle some of the most complex investigations in Utah. It is equally a privilege for our office to work on task forces and in the field with federal, state, county, city, and tribal officers who all make up our law enforcement family. As we celebrate together the contributions of the officers who make up the ‘thin blue line,’ our hope is that law enforcement and the communities they protect may come together to rebuild trust and strengthen ties. This entry was posted in Recent Posts and last updated on May 4, 2017 .